while on the way this morning, i was making my kid’s projects and all-pins, safety pins and all the pins were tumbling against my senses. i threw up and projected myself to my gardening essentials and arranging the crucial i suddenly panicked towards the completion deadline flyer given to my kid. “very creative” was the very sign given and it was quite irritating, what do you expect from a 8 years old to form a very creative margins for your walls? 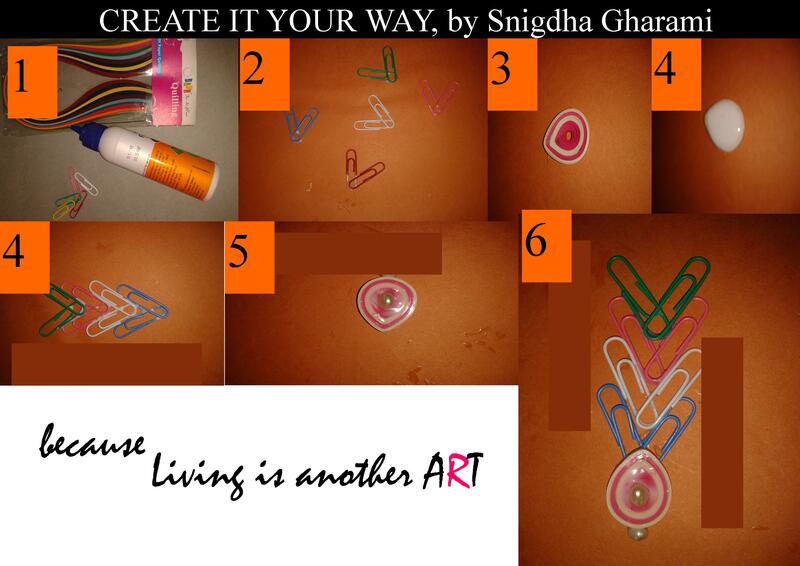 Arrange those pins in vertical V order and with the help of fevicol stick them up together well. Take few colours you love and make it a colour stanza for the roll. Now join all the arranged pins in the order given using fevicol or gum. Stick both of them you created and this way you can add up a new pendant, you can make couple of them for earrings, or join as a earica(the latest trend), can use as key ring, wall hanging. You can add your own imagination and creation to create further new design, do not forget to share with us, because learning is always a wonderful thing, more wonderful is sharing what you have learnt. I hope this post is helpful, love you folks.